Fast food restaurants might not be the healthiest, however, they’ve become everyone’s guilty pleasure because they are cheap, fast, and delicious. The casual dining chain now has 870 locations around the country after opening up on March 15, 1965. The chain of pretzel shops first opened in 1988 in Downington, Pennsylvania and has become famous for their hand-made freshly-baked pretzels. After opening in 1980 in Decatur, Georgia, the American cuisine grill and bar started expanding. There are now nearly 2,000 locations throughout the United States, Puerto Rico, Guam, and 15 other countries. The donut shop originally opened in 1937 in North Carolina. The chain has since expanded with over 1,000 locations that are famous for serving up freshly-made, hot glazed donuts. The casual restaurant chain first opened in 1934 in Normal, Illinois. The burger restaurant has grown over the years and there are now locations throughout the United States, Europe, and the Middle East. The ice cream parlor chain started in 1988 in Tempe, Arizona. They now have 1,100 locations and are famous for their rich ice cream flavors, which are made on location with 12-14 percent butterfat. Dunkin’ Donuts first started out as a local donut shop in Quincy, Massachusetts in 1950. Since then, the chain has expanded to 11,000 locations and expanded their menu to include hot drinks, other baked goods, sandwiches, and wraps. 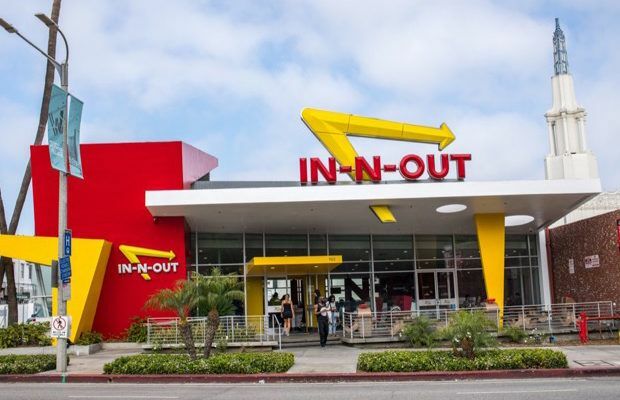 The hamburger fast-food chain grew a cult following after opening in Baldwin Park, California in 1948. While there are now only 342 locations, people travel from all over the world to try their famous burgers. Chipotle Grill first opened in Denver, Colorado that became popular for their tacos and burritos. There are now over 2,000 locations in the United States, the United Kingdom, Canada, Germany, and France. The drive-in fast-food restaurant chain opened first in Shawnee, Oklahoma in 1953. Today, there are 3,606 locations in 45 states. Popeyes Louisiana Kitchen opened it’s doors on June 12, 1972, serving classic New Orleans dishes like spicy and mild fried chicken, chicken tenders, and seafood dishes. Today, there nearly 3,000 locations. The Australian-themed restaurant opened first in Tampa, Florida in February of 1988. The chain now has over 1,000 locations in 23 countries in North and South America, Asia, and Australia. Cracker Barrel, which first opened in Lebanon, Tennessee, has brought classic southern dishes to more than 645 locations around the country. Chili’s opened their doors on March 13, 1975, in Texas. The casual dining chain now has over 1,600 locations worldwide. After the first Buffalo Wild Wings was created in 1982 in Columbus, Ohio, the casual dining restaurant and sports bar became a franchise. There are now more than 1,200 locations in the United States and nine other countries. After being founded in July of 1964 in Youngstown, Ohio, Arby’s quickly became famous for their slow roasted beef, turkey, and Angus beef sandwiches. Today, there are more than 3,300 locations around the country. Starbucks was founded in Seattle, Washington in 1971. In the decades since, the coffeehouse chain has popped up in countries around the world. With more than 29,000 locations worldwide, Starbucks is the third-largest fast food restaurant chain. The original Red Lobster restaurant opened in Lakeland, Florida, in March of 1968. There are now more than 700 restaurants in the United States, Ecuador, Canada, Malaysia, Saudi Arabia, the United Arab Emirates, Qatar, Mexico, and Japan. Olive Garden was founded on December 13, 1982, in Orland, Florida. The 892 locations serve up Italian-American cuisine and have become famous for their all-you-can-eat never-ending pasta bowls. The Cheesecake Factory was founded in Beverly Hills, California in 1972. The restaurant company now has about 210 restaurants and has become famous for both their cheesecakes as well as their massive portion sizes. The hamburger fast-food chain was founded in 1954 in Jacksonville, Florida. It has since become the fifth largest fast-food restaurant chain in the world with almost 17,000 locations. Taco Bell was founded on March 21, 1962, in Downey, California. It was one of the first fast-food chains to serve Tex-Mex foods like tacos, burritos, quesadillas, and nachos. There are about 7,000 locations that bring in about $2 billion a year. KFC was founded by Colonel Sanders in Kentucky on September 24, 1952. The fried chicken restaurant chain is currently the fourth largest fast food chain with more than 20,400 locations in 123 countries and territories. The pancake house restaurant chain was founded in 1958 and was originally a family business. IHOP quickly became famous for their breakfast foods and there are now about 1,650 locations in all 50 states, Canada, Mexico, Puerto Rico, and the Virgin Islands. Red Robin was created by Gerry Kingen in September of 1969 in Seattle, Washington. At first, Red Robins was a popular University of Washington bar but became an even bigger success after Kingen added burgers to the menu. Dairy Queen opened their first restaurant on June 22, 1940, in Joliet, Illinois. The chain, which serves soft serve ice cream and fan-food, has more than 4,455 locations throughout the United States and 6,800 locations around the world. The American fast food restaurant known for their subs is one of the fastest-growing franchises in the world. The chain has expanded to over 100 countries around the world with more than 42,000 shops. The American restaurant chain first started in Virginia. After becoming known for their hamburgers, hot dogs, and french fries, the chain spread across the country and there are more than 1,500 locations. The fast-food chain was founded by Dave Thomas on November 15, 1969. The first restaurant was in Columbus, Ohio and there are now more than 6,500 Wendy’s restaurants around the world. Chick-fil-A has become known for their delicious chicken sandwiches. The chain was founded in May of 1946 and the first restaurant was located in Hapeville, Georgia. Since then, the chain has expanded all over the country and currently operates more than 2,200 restaurants.